What mental models exist in your company? This unique app illustrates Lean vs. conventional thinking in contemporary organizations. The images are light, thought-provoking – and a great complement to your Lean library. Our Lean Thinking app brings the fundamentals to life – with a touch of humor. Topics covered include: Leader = Sensei, Leadership - Go See, Standards, Quality at the Source (Jidoka), Making Problems Visible, Problem Solving, Leadership - Guide, Simplicity, Flow, Pull, Planning, People. 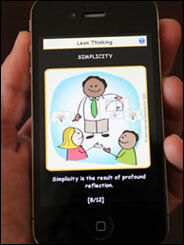 The Lean Thinking App is a versatile tool. Use it to support in-house training, reinforce lean fundamentals, or as a reference guide on your gemba walks! 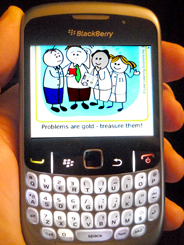 How can I get the Lean Thinking App on my phone? Select the 'Buy Now!' 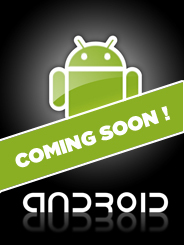 button and you will be directed to the Apple App Store or Blackberry App World. For Apple: Compatible with iPhone, iPod touch, and iPad. Requires iOS 3.0 or later. For Blackberry: Compatible with most Blackberry smartphones (see complete list for compatible smartphones). Requires device software version 4.6.0 or higher.